Music has always been closely tied to the notion of transcendence. From Gregorian chanting to South African shamanistic trance dance to ecstasy-fueled Western rave culture, music from all over the world reflects humanity’s quest for a higher state of consciousness. 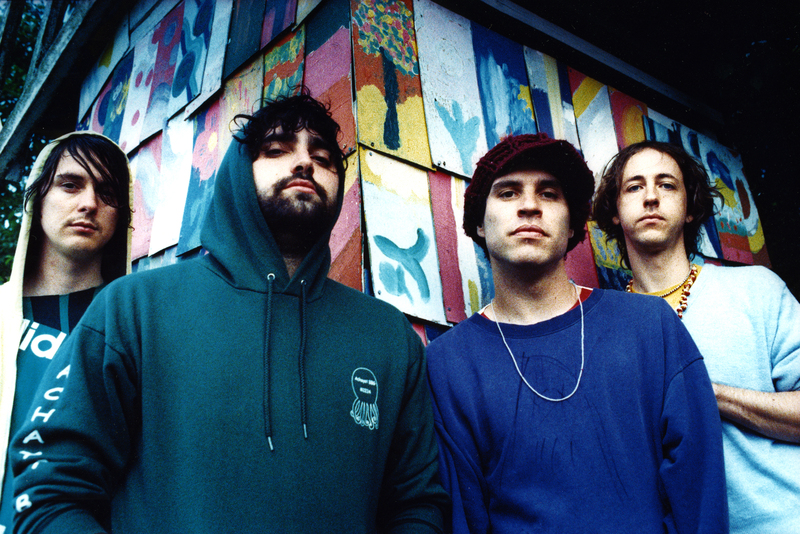 As pioneers in the experimental indie music scene, Baltimore foursome Animal Collective has spent the better part of a decade chasing the same sort of melodic dragon. In 2009, Avey Tare tantalizing wished “If I could just leave my body for the night” on the critically-acclaimed breakthrough Merriweather Post Pavilion, and at its best, Animal Collective’s music make this kind of departure possible. It gives you the feeling of floating, or at least careening, through zero-gravity. 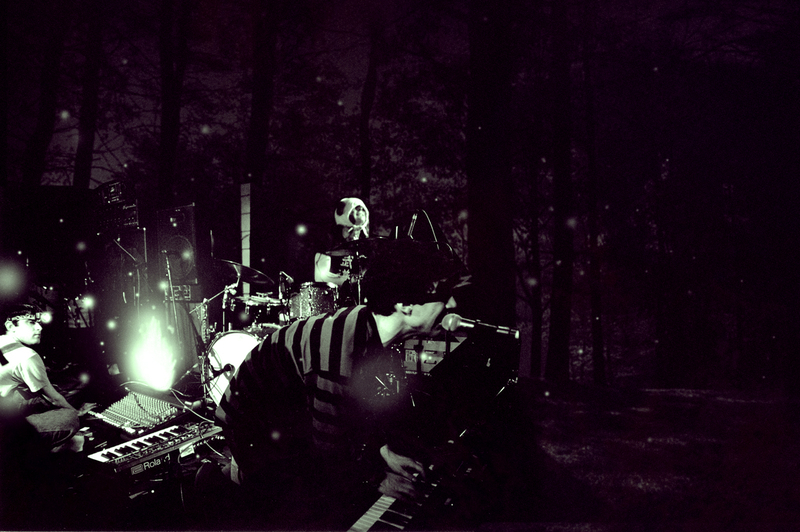 With Strawberry Jam (2007) and then MPP (2009), it appeared as though Animal Collective had completed their pursuit of the perfect groove. Songs like “My Girls” and “Brother Sport” were euphoric roller coaster rides of rhythm, melody, and aural experimentation — weirdly hummable pop songs exploded from the inside out. Follow-up Centipede Hz seeks a similar route to otherworldly bliss; according to band interviews, it’s loosely based on the concept of lost radio signals hurtling through outer space. Yet there’s an opaqueness to this album that ultimately denies it the same sort of unhampered flight. Centipede Hz indeed feels like alien object, but one so dense that it’s impeded by its own sense of gravity. It was inevitable that Centipede Hz be compared to predecessor MPP given that record’s undeniable brilliance, but the two albums actually do share similar style of instrumentation. That’s somewhat surprising when you consider part of the excitement around an Animal Collective record has always been discovering how their sound will evolve next (it’s already made the trip from freak folk to rock to electronica). Centipede Hz is essentially built from the same sleek, synth-driven materials as was MPP. However, where MPP was a finely crafted weapon of precision, Centipede Hz is a massive hunk of pounded-together sound with jagged angles and edges — a densely-packed morning star that swings in a wide sonic orbit. First single “Today’s Supernatural” is a titanic slab of rhythm and eastern melody that rouses as much as it flattens you, the sonic equivalent to having both ADD and claustrophobia. 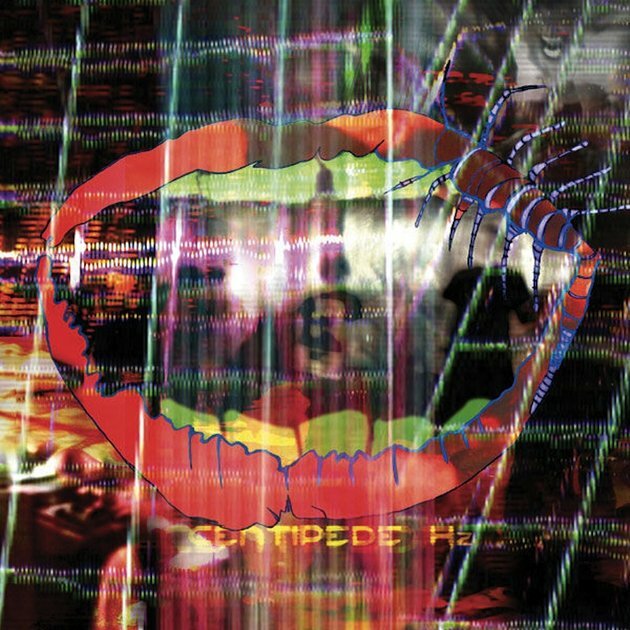 Throughout Centipede Hz, Animal Collective takes the sort of radio “station identification” sound effects that DJ’s once used to fill in the gaps between tracks and weaves them into the very fabric of their own songs; “Moonjock,” “Rosie Oh” and “Father Time” vibrate with intricate patterns of blips, bleeps, and ominous digital whooshes. While these noises make for a palette of deeper colors and textures, the songs suffer from lack of clarity and focus. MPP was marvelously spacious, crystalline, and supremely confident in its own melodies; while bursting with ideas, it had ample space to breathe. By contrast, Centipede Hz feels crowded with aural debris. In spite of its multiple layers, Centipede Hz also possesses a certain kind of brittleness. Even the most thunderous moments like the breakdown in “Moonjock” or the awesome climax of “Amanita” are saturated with so much treble and high-end that the focus required to parse them can be headache-inducing. With all that being said, I’m still strangely drawn to the bludgeoning force and substance of this record. It contains the complex polyrhythms, odd time signatures, and dynamic vocal contrasts (Avey Tare’s prickly growl vs. Panda Bear’s melodious sighs) that remain ever-present hallmarks of the Animal Collective experience. Despite its weight, there’s a real sense of grotesque beauty to Centipede Hz, like a ponderous, precariously balanced piece of asymmetrical sculpture that’s both monolithic and wonderfully kinetic. Animal Collective’s music has always had a tribal, mantra-like quality to it, making real the idea that even the strangest sounds and syllables through repetition might allow you achieve an altered state. In another era, they would have been the kind of jam band that shared a stage with the the Grateful Dead — that is, if Garcia and co. had toured the Cydonia region of Mars. Panda Bear went so far as to recently say “I always dreamed of going out to space. The idea of going to a planet where nobody’s ever been is attractive to me.” But in their career arc, Animal Collective have already been there and back again. For all the talk of alien radio transmissions and interplanetary travel, Centipede Hz spends most of its time crawling and skittering through layers of dirt and digital detritus, making it a decidedly more earthbound affair. I like your writing much better than I like “Moonjock.” Still, I’m always happy to have you help me keep current. Thanks. Thank you, Sandy. I have a feeling you might like the next artist I review a bit more. This entry was posted on September 11, 2012 by Jeff Goodwin in Animal Collective, Reviews and tagged amanita, animal collective, avey tare, centipede hz, deakin, Father Time, geologist, in the flowers, merriweather post pavilion, moonjock, panda bear, rosie oh, strawberry jam, today's supernatural.